Effectively defending against cyberattacks in this new environment requires security teams to work smarter rather than harder. Today’s security teams are struggling to keep pace with the changes in their networks. Multi-cloud, virtualization, the explosion of IoT and BYOD devices, agile software development, and the crushing volume and speed of data—not to mention Shadow IT— have resources stretched thin. Meanwhile, cybercriminals have been undergoing their own digital transformation. Machine learning and agile development, new sophisticated attacks like ransomware and cryptomining, combined with Dark Web crime-as-a-service offerings mean that attacks are faster, harder to detect, and better at finding and exploiting vulnerabilities. Effectively defending against cyberattacks in this new environment requires security teams to work smarter rather than harder. Today’s cybercriminal strategies target every link in an attack chain, from gathering information and gaining access, to moving laterally across the network to discover resources to target, to evading detection while exfiltrating data. Traditional security strategies, however, tend to only focus on a handful of attack components, which gives criminals a significant advantage. To address today’s challenges, security teams need a combination of tools, strategy, automation, and skilled professionals to monitor the entire attack chain and automate as much of the process as possible so that human resources can be focused on higher order analysis and response. Choosing such tools, however, requires understanding the entire length of the attack chain and how vulnerabilities in each of its links can compromise the security of your network. To assist with this, MITRE has mapped the attack chain into eleven discrete links, along with examples of the types of attacks that target each link in that chain. To effectively counter today’s advanced threats, security teams need to familiarize themselves with each link in the chain and map them directly to functional areas and tools within their own networks. Initial Access: Exploiting known vulnerabilities in servers, compromising websites or applications, or taking advantage of successful spearphishing attacks allow attackers to wedge a foothold into the edge of the network. Execution: This is the point where an attacker executes a binary, command, or script to begin their network reconnaissance and exploitation process. Persistence: Once an attacker has established a foothold, the next goal is to avoid detection. Creating or manipulating accounts, applying rootkits, using run keys or exploiting tools like application shimming enable attackers to persist in place while the explore the network for potential targets. Privilege Escalation: Basic access does not allow an attacker much opportunity to explore the network. To move around the network and access resources worth stealing, an attacker needs higher network privileges. Defense Evasion: To move through a network undetected, especially when exfiltrating data, attacks need to avoid detection by things like behavioral analytics and IPS tools. Techniques such as clearing files, learning and mimicking normal traffic behaviors, or disabling security tools are just a few of the full range of tools available to today's hackers. Credential Access: In many organizations, critical data and other resources are protected behind a wall of security that require appropriate credentials for access. Unfortunately, gaining access to credentials isn't always that difficult. They are stored in files or in a registry that attackers can exploit, techniques like hooking allow cybercriminals to intercept traffic to uncover credentials, and account manipulation can involve things like adding or modifying the permissions to the account being used to access the network. Discovery and Lateral Movement: Not all data exists in the segment of the network that was broken into. Many of the same techniques used to this point are used again to determine where valuable resources exist and to then allow an attacker to move laterally between network segments, whether they are local to the breach or at some remote physical or virtual data center. Collection and Exfiltration: Once an attacker has identified a payload, they need to collect that data needs and extract it from the network without being detected. This is often the trickiest part of the process, as this may involve massive amounts of data. 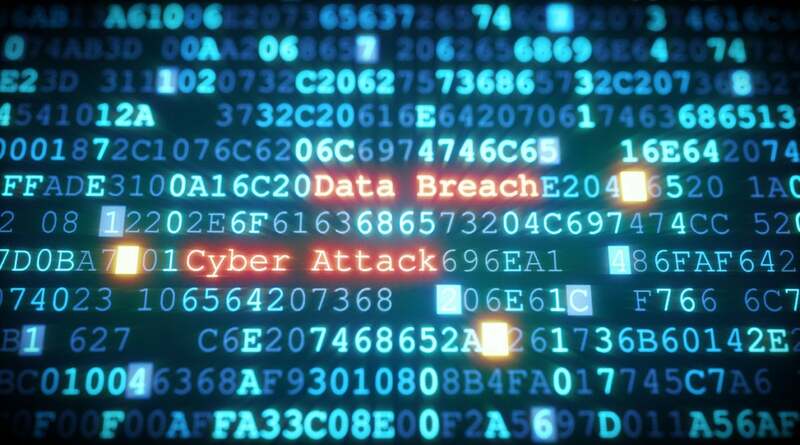 But if a cybercriminal has carefully crafted each attack element to this point, they are often able to remain inside a compromised network for months, slowly moving data to other resources that are under less scrutiny, and eventually out of the network. Command and Control: The final step is for attackers to cover their tracks completely. Multi-hop proxies, data obfuscation, and multi-stage exfiltration are just a few of the techniques cybercriminals use to ensure that stolen data cannot be tracked and traced back to them. Addressing the entire attack chain needs to be combined with understanding how the network functions, including the impact that future business requirements will have on the network. Mapping those functions to the attack chain allows security teams to think comprehensively about security threats. Breaking security down into the eleven MITRE attack chain links has two goals. The first is to engineer as much risk out of the network as possible by addressing weaknesses inherent in each link of the attack chain before an attack occurs. This may include hardening protocols to prevent their exploitation, turning off unused ports, and baselining all known traffic so that new applications or escalating privileges can be identified. Each of these activities can be mapped to multiple attack chain links. So can behavioral analytics, which can identify when a device begins behaving strangely, such as FTPing data out of the network. Even activities such as patching or replacing vulnerable devices, and subscribing to threat intelligence feeds so you are tuned to current attack methodologies and malware can be mapped to multiple links in the attack chain. The second goal is to apply security strategically so that fewer security tools can address more challenges. This allows you to keep the number of management and orchestration consoles you need to monitor under control. It also enhances your ability to implement AI and machine learning to address challenges at digital speeds. Tools like Network Access Control ensure that you are aware of every device on your network, while SIEM devices ensure that threat intelligence is dynamically collected and correlated from every devices deployed in every corner of your network. At the same time, consistency in security policy implementation and enforcement across different network ecosystems is critical. For example, you should deploy the same NGFW solution in every part of your network, whether physical or virtual. This ensures that security protocols and enforcement are applied consistently and that you can monitor and manage your systems through a single central console. Of course, this strategic approach may require radically rethinking your security deployment. Tools have to be fully integrated so that the network can identify and address security threats as a unified system. A self-healing network requires security devices to share and correlate threat intelligence to identify and monitor every device, track applications, detect malware, isolate infected devices, and coordinate responses across a wide variety of network ecosystems, —from multi-cloud infrastructures, platforms, and applications, to remote workers and IoT devices, to next-gen branch offices connected to cloud and physical resources through SD-WAN. Threat intelligence and response also needs to be driven into each link in the MITRE attack chain. And where possible, AI and machine learning need to be applied so that your integrated security fabric can respond to threats at digital speeds and human resources can provide critical supervision. A breach resulting in the loss of data can occur in minutes or hours. And yet, it can take weeks or months for most security breaches to be detected. By that time, the perpetrators and your data are long gone. The only way to get out in front of this challenge is to change from a traditional tactical approach that relies on isolated legacy security tools to an integrated strategy that enables you to see and control your entire networked environment, link by link, to identify anomalous behavior and automatically thwart attackers before they have managed to escalate themselves up the attack chain. Learn more about FortiGuard Labs and the FortiGuard Security Services portfolio. Read about the FortiGuard Security Rating Service, which provides security audits and best practices.